Even before the turkey graces the Thanksgiving table, it is an all out sprint to Christmas. The retailers begin lining the shelves with Christmas ornaments, trees and gift-wrap before the Halloween candy has even been passed out. Not to mention, the countless preparations you need to take care of around the house. In the Whitaker home, besides the deep cleaning prior to one decoration seeing the light of day from the storage totes there is the “pre-Christmas purge”, as I call it. I go room by room and straighten, organize and eliminate the excess to make room for the new. Once the house has been cleaned and decorated from top to bottom, the baking and candy making commences. Thankfully, most of the goodies freeze well, so I can cross many of those items off the list weeks ahead of the big day. Oh my goodness, I almost forgot to mention all the Christmas programs, parties, concerts and events that the kids are involved in at school. This doesn’t figure in family, friends and church activities. Whew, I am worn out just typing this. 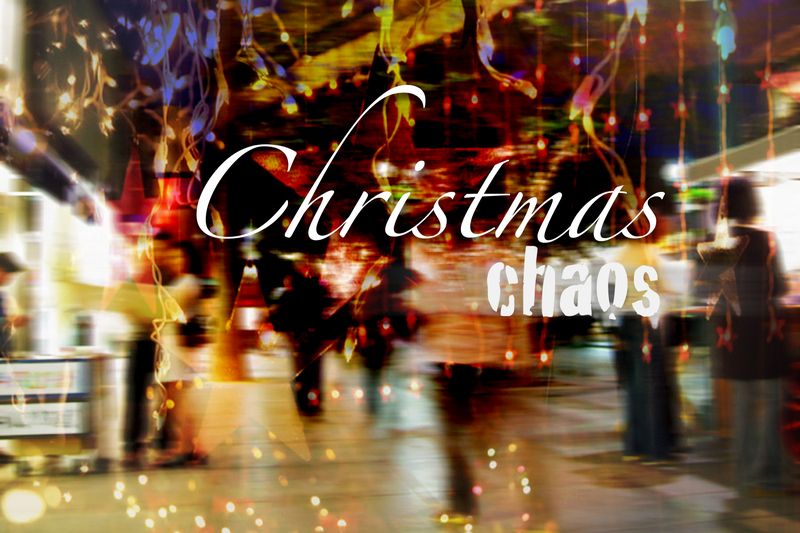 The chaos of Christmas begins to envelop and take over a very sacred, special day. You and I need a new perspective on Christmas or we will miss the point. It was never to be about going, doing and getting. We become so exhausted in all of this that we miss celebrating the birth of our Savior. Our church started a new message series last week, Vantage Point. It is looking at Christmas from different points of view, culminating on Christmas Eve. I ask that you take a little time today and watch this powerful message, may it speak to your heart and bring new meaning to the Christmas season. In the comment section below, I would like for you to share either what spoke to you in the video message or how you are choosing to take the chaos out of Christmas this year. Don’t forget that each comment left this week will get you entered to win a new book, just in time for Christmas – my gift to you. Speaking of which, please look back at the previous weeks to see if you were a winner, I have several lonely books looking for a good home.